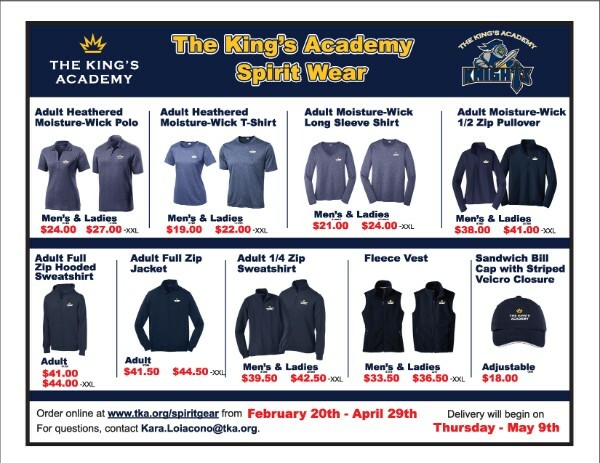 Support The King's Academy! 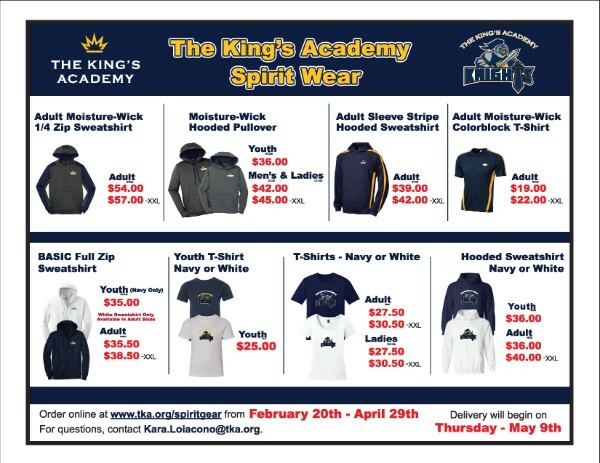 Order sweatshirts, polos, and t-shirts with The King's Academy logo or Knights logo. We've added a few moisture management items, as well as some new t-shirt and sweatshirt styles! Delivery will be on Thursday, May 9. Please Note: Items are non-refundable and not exchangeable. Please pay close attention to sizing charts within the ordering site. Thank you. For questions or to be contacted when the next ordering window opens, please contact Kara Loiacono, PR Event Coordinator. For information about ordering PE Unforms, click here.